Our holiday event was hosted at the The Archbishop’s Residence and the Residence was highlighted as the theme of the event. Attendees were able to take a self-guided tour throughout the first floor, which showcased many of the architectural details, paintings and furnishings. Many photos of past residents and architectural designs of the building were provided throughout the first floor as well. 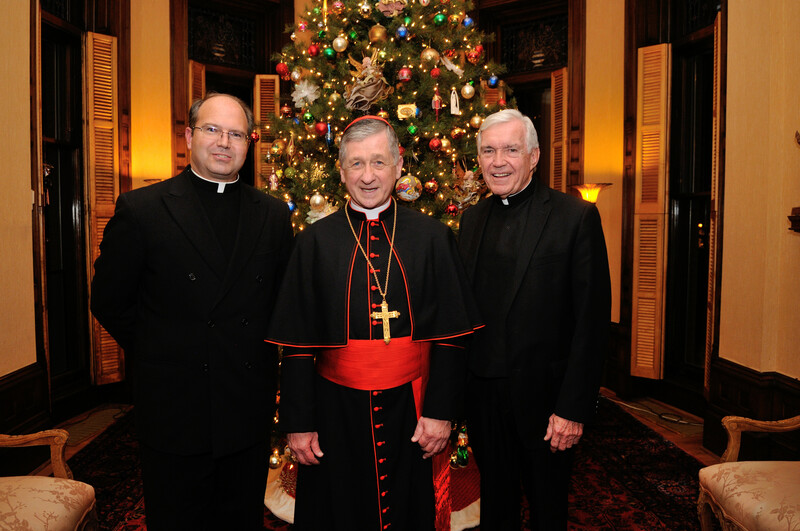 Cardinal Cupich joined the Patrons for the evening and provided additional history and stories about the Residence. The Illinois Chapter was also pleased to have Father Kevin Lixey, L.C., International Director of the Patrons of the Arts in the Vatican Museums join the event.